In this part of the world each property has a name called a lieu-dit in French. Ours is Vieux Mirou. We think Mirou, the official name of our hamlet, might have its origins in the local Occitane language as the word for 'view'. We added the 'Vieux' at the suggestion of a neighbour when we first moved here in a vague allusion to our former UK residence called 'The Old House'. Our collection of character stone buildings at Vieux Mirou comprises four independent gites. Chez Amis and Chez Papi are two smaller units, created out of the rustic old barn. Chez Amis sleeps up to 5 people, and Chez Papi 4 people. We let all the gites out independently, but of course, together they can accommodate a very large crowd of friends and/or family for a memorable holiday. 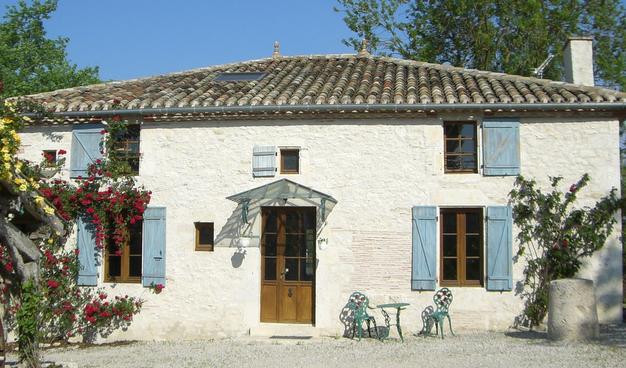 Because Chez Amis and Chez Papi share a pool and terrace, they make a great combined rental (up to 9 people) for good friends or related families: Maison de Ferme and Chez Nous can be let together for up to 16 people. Our tariffs are designed make this attractive. Along with the accommodation in each gite, we provide some general amenities for your comfort and enjoyment at Vieux Mirou, which you can read about here.